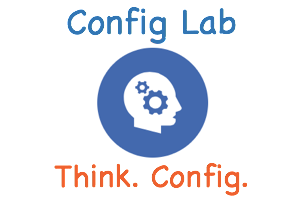 This lab gave you six or seven separate facts about how to configure SNMPv3. Focus on remembering all those little moving parts of the various SNMPv3 configuration commands. Most people will not memorize those, but you should think and practice these combinations so that you can see the configuration not as a long confusing set of words, but as separate ideas, and to understand each idea. As always, do the lab, then check your answers here. The first command creates an SNMP group, which is a configuration concept which gathers some SNMPv3 parameters for easy reference by the snmp-user user command. It is simply the way Cisco’s team built the SNMPv3 configuration. group Certskills: defines the name of the group with a name that I made up, and that you used based on the requirements for the lab. v3: keyword that defines the version. write v1default: two combined parameters that enable the use of Sets (for writing to the router’s MIB), with MIB view v1default. Also, this command can be the starting point for some common mistakes. In this case, note that the use of the auth keyword on this command means that auth must be used on any snmp-server user commands that refer to this group. Certskills: refers to the name listed in the snmp-server group Certskills command. auth sha mysecretpassword: defines that the user should use authentication, with SHA as the protocol, with a password of mysecretpassword. The third command is simple: it enables the router to send Trap (and Inform) messages assuming the rest of the related configuration in command 4 is completed. host 172.20.2.9: Identifies the IP address of the SNMP manager. version 3: keywords that define the version. auth: defines that the user should use authentication (not privacy). Youdda: defines the username (per the snmp-server user command) used for SNMPv3 authentication. Good catch. I just fixed it. Sorry about that, but thanks for finding the fix for me. Thanks Andrejs – yep. Took me a second – that error was in the heading line. The config snip looked good. Regardless, it’s fixed. Thanks for the heads up. Is it setting the user/pass for the SNMP manager to authenticate to the agent, or the agent to authenticate to the SNMP manager?